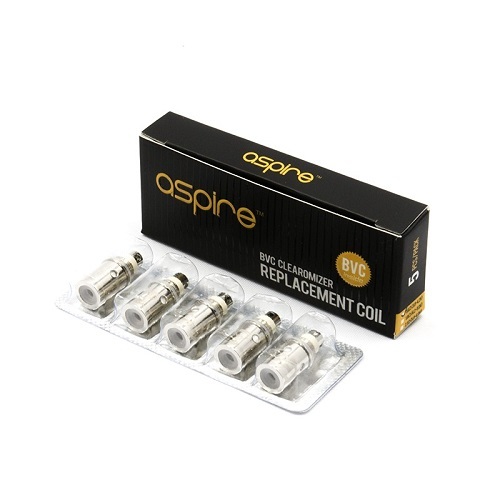 The Aspire BVC Atomizer set has a range of features to offer you a superior vaping experience. The Bottom Vertical Coil (BVC) design offers users better taste and performance in comparison to its Bottom Dual Coil (BDC) predecessor. The BVC system represents a substantial innovation because of its unique replaceable coil design and air flow system, and also its innovative dual coil, as oppose to single coil, design.